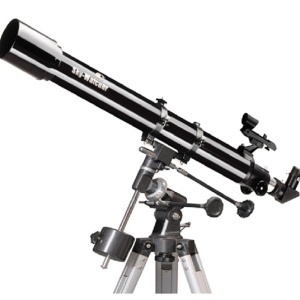 The Capricorn-70 is a classic two-element, air-spaced achromatic refractor telescope of very good quality, and makes an excellent choice for the more serious novice astronomer. It will provide memorable views of the Moon, Stars, Star Cluster, Bright Planets, Nebulae and Galaxies. Supplied with the EQ1 equatorial mount, which when polar aligned, will allow you to easily track objects as they move across the night sky via its slow motion control cables.